214000 7450 Iveco 7450 series diesel engine. 214001 7450E00 Iveco 7450 Industrial Diesel Engine Spare Parts Catalog. 214002 7450i10 Iveco 7450i10 Industrial Diesel Engine Service (workshop / repair) Manual. 214003 7450i10 Iveco 7450i10 Industrial Diesel Engine Spare Parts Catalog. 214004 7450i15 Iveco 7450i15 Industrial Diesel Engine Spare Parts Catalog. 214005 7450i16 Iveco 7450i16 Industrial Diesel Engine Spare Parts Catalog. 214006 7450SE00 Iveco 7450SE00 Industrial Diesel Engine Spare Parts Catalog. 214007 7450Si10 Iveco 7450Si10 Industrial Diesel Engine Service (workshop / repair) Manual. 214008 7450Si10 Iveco 7450Si10 Industrial Diesel Engine Spare Parts Catalog. 214009 7450Si15 Iveco 7450Si15 Industrial Diesel Engine Spare Parts Catalog. 214010 7450Si16 Iveco 7450Si16 Industrial Diesel Engine Spare Parts Catalog. 214011 7450SU00 Iveco 7450SU00 Industrial Diesel Engine Spare Parts Catalog. 214012 7450U00 Iveco 7450U00 Industrial Diesel Engine Spare Parts Catalog. 214013 7450G75 Iveco 7450G75 Genset Engine Spare Parts Catalog. 214014 7450G76 Iveco 7450G76 Genset Engine Spare Parts Catalog. 214015 7450G86 Iveco 7450G86 Genset Engine Spare Parts Catalog. 214016 7450i10 Iveco 7450i10 Genset Engine Service (workshop / repair) Manual. 214017 7450i15 Iveco 7450i15 Genset Engine Spare Parts Catalog. 214018 7450i16 Iveco 7450i16 Genset Engine Spare Parts Catalog. 214019 7450Si10 Iveco 7450Si10 Genset Engine Service (workshop / repair) Manual. 214020 7450Si15 Iveco 7450Si15 Genset Engine Spare Parts Catalog. 214021 7450Si16 Iveco 7450Si16 Genset Engine Spare Parts Catalog. 214022 GE7450G86 Iveco GE7450G86 Genset Spare Parts Catalog. 214023 GE7450i15 Iveco GE7450i15 Genset Spare Parts Catalog. 214024 GE7450i16 Iveco GE7450i16 Genset Spare Parts Catalog. 214025 GE7450Si15 Iveco GE7450Si15 Genset Spare Parts Catalog. 214026 GE7450Si16 Iveco GE7450Si16 Genset Spare Parts Catalog. 214027 PU7450i10 Iveco PU7450i10 Power Unit Spare Parts Catalog. 214028 PU7450Si10 Iveco PU7450Si10 Power Unit Spare Parts Catalog. 214029 7450G75 Iveco 7450G75 Automotive Gas Engine Spare Parts Catalog. 214030 7450G76 Iveco 7450G76 Automotive Gas Engine Spare Parts Catalog. 214031 7450G86 Iveco 7450G86 Automotive Gas Engine Spare Parts Catalog. 214040 7675 Iveco 7675 series diesel engine. 214041 7675E00 Iveco 7675E00 Industrial Diesel Engine Spare Parts Catalog. 214042 7675i10 Iveco 7675i10 Industrial Diesel Engine Service (workshop / repair) Manual. 214043 7675i10 Iveco 7675i10 Industrial Diesel Engine Spare Parts Catalog. 214044 7675i15 Iveco 7675i15 Industrial Diesel Engine Spare Parts Catalog. 214045 7675SE00 Iveco 7675SE00 Industrial Diesel Engine Spare Parts Catalog. 214046 7675Si10 Iveco 7675Si10 Industrial Diesel Engine Service (workshop / repair) Manual. 214047 7675Si10 Iveco 7675Si10 Industrial Diesel Engine Spare Parts Catalog. 214048 7675Si15 Iveco 7675Si15 Industrial Diesel Engine Spare Parts Catalog. 214049 7675SU00 Iveco 7675SU00 Industrial Diesel Engine Spare Parts Catalog. 214050 7675U00 Iveco 7675U00 Industrial Diesel Engine Spare Parts Catalog. 214051 7675G75 Iveco 7675G75 Genset Engine Spare Parts Catalog. 214052 7675G76 Iveco 7675G76 Genset Engine Spare Parts Catalog. 214053 7675G86 Iveco 7675G86 Genset Engine Spare Parts Catalog. 214054 7675i10 Iveco 7675i10 Genset Engine Service (workshop / repair) Manual. 214055 7675i15 Iveco 7675i15 Genset Engine Spare Parts Catalog. 214056 7675Si10 Iveco 7675Si10 Genset Engine Service (workshop / repair) Manual. 214057 7675Si15 Iveco 7675Si15 Genset Engine Spare Parts Catalog. 214058 GE7675G86 Iveco GE7675G86 Genset Spare Parts Catalog. 214059 GE7675i15 Iveco GE7675i15 Genset Spare Parts Catalog. 214060 GE7675Si15 Iveco GE7675Si15 Genset Spare Parts Catalog. 214061 PU7675i10 Iveco PU7675i10 Power Unit Spare Parts Catalog. 214062 PU7675Si10 Iveco PU7675Si10 Power Unit Spare Parts Catalog. 214063 7675G75 Iveco 7675G75 Automotive Gas Engine Spare Parts Catalog. 214064 7675G76 Iveco 7675G76 Automotive Gas Engine Spare Parts Catalog. 214065 7675G86 Iveco 7675G86 Automotive Gas Engine Spare Parts Catalog. 214080 8031 Iveco 8031 series diesel engine. 214081 8031M06 Iveco 8031M06 Marine Diesel Engine Service (workshop / repair) Manual. 214082 8031M06 Iveco 8031M06 Marine Diesel Engine Spare Parts Catalog. 214083 8031i05 Iveco 8031i05 Industrial Diesel Engine Service (workshop / repair) Manual. 214084 8031i05 Iveco 8031i05 Industrial Diesel Engine Spare Parts Catalog. 214085 8031i06 Iveco 8031i06 Industrial Diesel Engine Spare Parts Catalog. 214086 8031i40 Iveco 8031i40 Industrial Diesel Engine Spare Parts Catalog. 214087 8031i05 Iveco 8031i05 Genset Engine Service (workshop / repair) Manual. 214088 8031i05 Iveco 8031i05 Genset Engine Spare Parts Catalog. 214089 8031i06 Iveco 8031i06 Genset Engine Spare Parts Catalog. 214090 GE8031i05 Iveco GE8031i05 Genset Spare Parts Catalog. 214091 GE8031i06 Iveco GE8031i06 Genset Spare Parts Catalog. 214092 GS8031i05 Iveco GS8031i05 Soundproofeed GEN Set Spare Parts Catalog. 214093 GS8031i06 Iveco GS8031i06 Soundproofeed GEN Set Spare Parts Catalog. 214094 PU8031i05 Iveco PU8031i05 Power Unit Spare Parts Catalog. 214100 8035 Iveco 8035 series diesel engine. 214101 8035M06 Iveco 8035M06 Marine Diesel Engine Spare Parts Catalog. 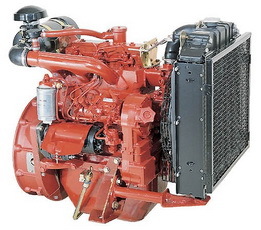 214102 GE8035M06 Iveco GE8035M06 Marine Generator Set Spare Parts Catalog. 214103 8035E00 Iveco 8035E00 Industrial Diesel Engine Spare Parts Catalog. 214104 8035.05 Iveco 8035.05 Industrial Diesel Engine Service (workshop / repair) Manual. 214105 8035.05B Iveco 8035.05B Industrial Diesel Engine Service (workshop / repair) Manual. 214106 8035.05C Iveco 8035.05C Industrial Diesel Engine Service (workshop / repair) Manual. 214107 8035.06 Iveco 8035.06 Industrial Diesel Engine Service (workshop / repair) Manual. 214108 8035.25 Iveco 8035.25 Industrial Diesel Engine Service (workshop / repair) Manual. 214109 8035.25R Iveco 8035.25R Industrial Diesel Engine Service (workshop / repair) Manual. 214110 8035U00 Iveco 8035U00 Industrial Diesel Engine Spare Parts Catalog. 214111 8035U06 Iveco 8035U06 Industrial Diesel Engine Spare Parts Catalog. 214112 8035E15 Iveco 8035E15 Genset Engine Spare Parts Catalog. 214113 8035.05 Iveco 8035.05 Genset Engine Service (workshop / repair) Manual. 214114 8035.05P Iveco 8035.05P Genset Engine Spare Parts Catalog. 214115 8035M06 Iveco 8035M06 Genset Engine Spare Parts Catalog. 214116 GE8035E15 Iveco GE8035E15 Genset Spare Parts Catalog. 214117 PU8035E00 Iveco PU8035E00 Power Unit Spare Parts Catalog.